We are a new lab in the Department of Molecular Biology at Massachusetts General Hospital and the Department of Genetics at Harvard Medical School. Located in the Simches Research Center in Boston, our lab studies the development, function and dysfunction of the somatosensory system. Our lab studies the somatosensory circuits that mediate the sense of touch and sensations from the gastrointestinal system. We are interested in how sensory experience, beginning with peripheral sensory neurons, influences the development of circuits in the spinal cord and brain. A central tenet of our work is that variations in sensory sensitivity and experience between individuals, in particular due to genetic differences, contribute to the heterogeneity of individuals’ cognitive and social behaviors. We have found that genetic mutations or alterations in peripheral sensory neuron function contribute to multiple symptoms observed in autism spectrum disorders (ASD). The selective modulation of these neurons can improve ASD-related symptoms. 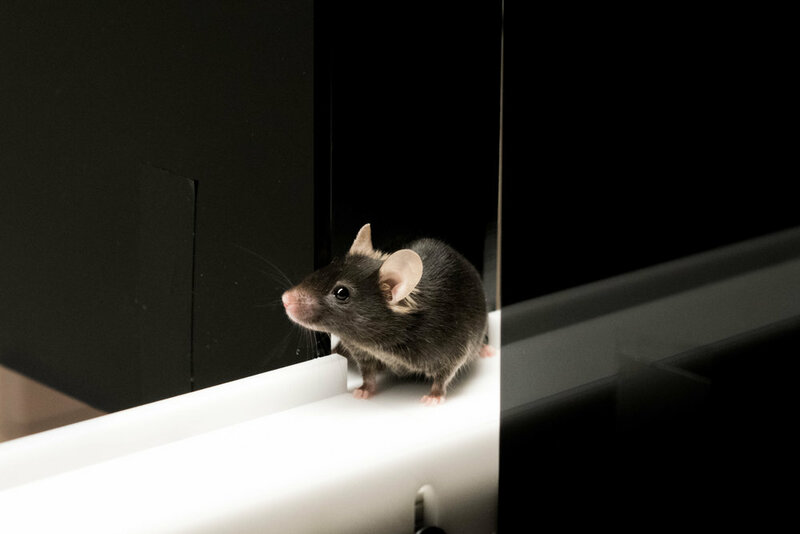 Our research program combines genetics, anatomy, in vivo and in vitro electrophysiology, imaging, and behavior in mice as well as studies of human-derived neurons. 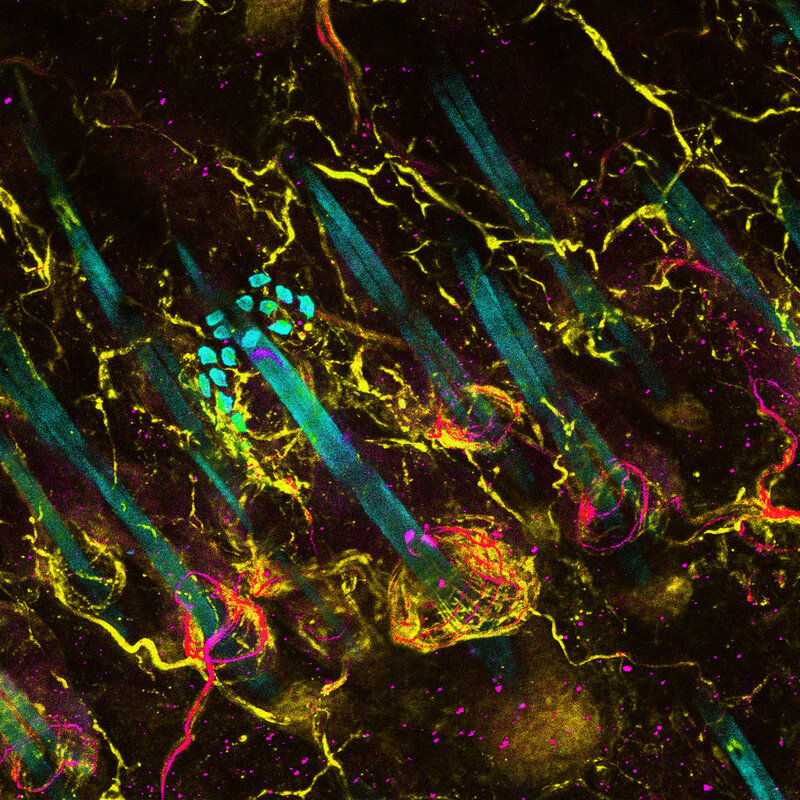 A major research direction is to study the basic biology of peripheral sensory neurons that innervate the skin. Furthermore, we have a large interest in understanding the development and function of sensory neurons that innervate the internal organs, including the gastrointestinal tract (GI), and thus serve as a main conduit between the GI system and brain. We are particularly interested in understanding how tactile input, beginning with peripheral sensory neurons, regulates brain development and influences perception and complex cognitive and social behaviors. We are also interested in the dysfunction of somatosensory circuits, and how this may contribute to different diseases and disorders. In particular, touch hypersensitivity is a core symptom of ASD that we hypothesize could be an underlying cause of other ASD symptoms. We recently identified peripheral somatosensory neurons as a major locus of dysfunction in several models of ASD. We showed that selective restoration of function to peripheral sensory neurons is sufficient to improve many ASD-associated phenotypes. We are actively pursuing directions to target therapeutics selectively to the peripheral nervous system to alleviate ASD-related phenotypes. We are also particularly interested in whether GI dysfunction in ASD may be causally linked to abnormalities in peripheral sensory neurons, to ascertain mechanisms and potential treatments for these symptoms. Lastly, we aim build better bridges between pre-clinical models and patient physiology using patient-derived iPSC studies. We iterate between mouse models and patient cells to identify cellular mechanisms for peripheral sensory neuron dysfunction in ASD. Through collaboration, we are developing therapeutic tests in patients and identifying new biomarkers for tactile hypersensitivity.